Walking, hiking, portaging. All things we do that require our feet. Wearing the proper footwear can make or break your trip. If it’s your first time on a trip it might be hard to know what to wear. While there is no official rule on what shoes to wear, I can strongly recommend a few options. For a hiking trip you definitely what a shoe that has ankle support. Hiking boots are the best option, however if you don’t have a pair of these you don’t need to run to the nearest outdoors store. A solid pair of running shoes that you can lace up will do. Shoes that cannot be laced up such as moccasins, Birkenstocks, or slip-ons are not good options. Trying to navigate slick rocks, or steep inclines can be difficult if your foot is sliding around in your shoe. While hiking boots are ideal for the active parts of your way, it’s always nice to take off the heavy duty and put on something more breathable. While at your campsite it’s perfectly okay to wear something more comfortable. Sandals, Crocs, or anything you deem comfy is suitable for at camp downtime. Having a second pair of shoes also allows you to dry out your feet after a hot day or if it has been raining. Even with water proof or resistant footwear there is a good chance that after hiking all day your feet will be damp or full on soaked. Being able to slip on dry breathable shoes will allow your feet to dry and help prevent blisters or other foot injuries. This same principle applies to canoe trips. Having two pairs of shoes is essential for staying happy and healthy on trip. As your main shoe for daily activity a hiking shoe is good, especially if there are a lot of portages. However when loading and unload the canoes there is a strong likelihood of your shoes getting wet. If you are wearing hiking boots they will stay wet for a long time. For this situation I recommend wearing light (yet sturdy) running shoes, a river shoes, or any shoe that is light and breathable to allow for quick drying. Having to put on wet shoes in the morning is not a pleasant way to start the day. 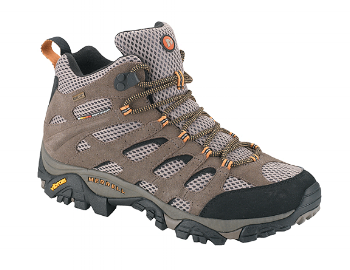 On canoe trips I personally wear hiking boots as my campsite shoes because they are easy to walk in and sturdy. There is still a lot of walking around to do at camp such looking for firewood, or the perfect marshmallow roasting stick. While it is possible to do all this in your campsite shoes if they’re flip flops, or moccasins, there is less chance of you impaling your foot on a sharp stick, or slicing your toe on a sharp rock if you are wearing a running shoe. It might be hard to envision this if you have never done a canoe or hiking trip before. The most important thing to take from all this is that having two pairs of shoes for any trip is useful. Being aware that while open toe shoes or sandals allow for your feet to breath, they also put you at risk for injury. Having a pair of light breathable closed toe shoes, or hiking boots as your at campsite shoes and another pair as your active shoes is your best option. Newer PostClimbing’s biggest debates: Microfractures - Are they real? Older PostHow do I Calculate Fall Factors when Rock Climbing?